New American Steel Building was erected yesterday. Check it out ! They started at 9 am and it was finished at 5:30 pm. 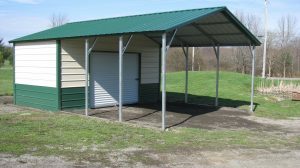 What a beautiful carport and storage building. Come in and get a quote on the building design of your choice. IT’S HERE – CHECK IT OUT Be the first of your friends to have one! !